Love is natural when you both see each other every day, work together and even get to act like couples. And that is why the actors and actresses easily fall in love with each other. But you know what they say, “Falling In Love Is Easy, Continuing It Is Not”. But the tv couples that we are going to introduce to you today has not just maintained a stable relationship but also gave us major relationship goals. Ravi and Sargun are personally my favorite. This lovely couple met at the sets of 12/24 Karol Bagh and fell in love. They are continuing to give us couple goals since the year 2013. The recently married couple met on the set of the show that never got released. But that unreleased show has given them the best gift of their life. You have seen Sumeet in ‘Veere Di Wedding’ with Kareen Kapoor and Ekta Kaul as Riya in ‘Mere Angane Mein’. Met on the set of the show ‘Kutumb’ and are together since then. Their love story is not less than any fairy tale. They tied a knot in 2004 and are now blessed with two kids. This couple is been together for 6 years now and it still looks like they are so young in love. They did a show together ‘Nach Baliye’ and rose to fame after that. They both were a part of Indian Reality Show Bigg Boss Season 9. And their loved continued off-set too. The couple is already engaged and is getting married soon. One of the most adorable Tv Couples, Vivek and Divyanka met on the sets of ‘Yeh Hai Mohabbatein’ and got married in 2016. They are giving us major relationship goals. Their real-life love story is as adorable as their reel life love story. Met on the sets of ‘Yeh Rishta Kya Kehlata Hai’ and immediately fall into love and their love is still going strong. Their love story started from the sets of ‘Pavitra Rishta’ and they are one of the most loved tv couples of all times. Their fans are just waiting for them to tie knots soon. 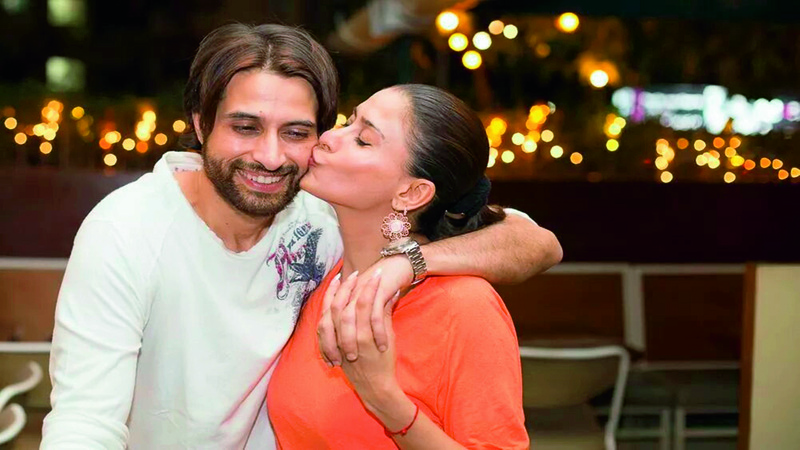 Apurva and Shilpa’s love story started from ‘Jassi Jesi Koi Nahi’s” set and they have together also participated in Bigg Boss. This adorable couple is married and blessed with a daughter. Their love story started 7 years ago on the sets of ‘Maryada’ and are each other’s support system till now.